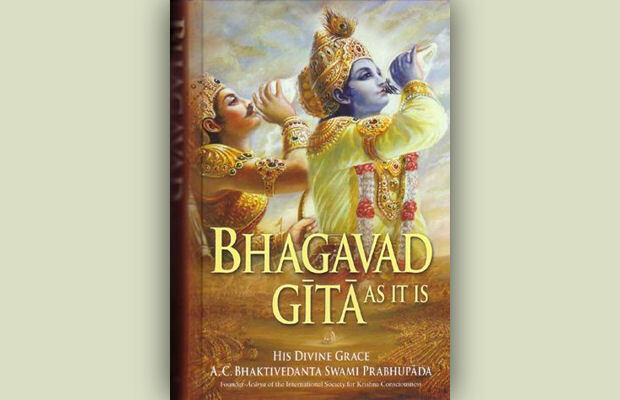 Advent of Bhagavad Gita - Gita Jayanti - Dec 21, 2015 ~ The Toronto Hare Krishna Temple! Monday, December 21st, 2015 marks Gita Jayanti, the day when Lord Krishna spoke the Bhagavad-gita to Arjuna. The festival will feature the presence of Vaisesika Prabhu, so it will surely be a special evening that you will not want to miss! Please join us on this most auspicious occasion with your whole family! Also, being this month of our Book Marathon, you can use this auspicious festival as a chance to get your own copy of the Bhagavad-Gita or take it for your friends and family. You can give a perfect gift this holiday season! Suggested donation: $10 (for a hard copy), $5 (for a soft copy). Please email us for more information. Stay tuned for more details about the festival!